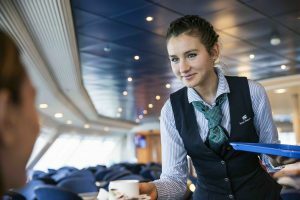 News likely to appeal to those seeking to banish the January blues is the announcement from Irish Ferries of a 25% reduction for motorists on its Irish Sea sailings. The New Year ‘bonus’ deal is valid for all cruise ferry sailings and the majority of Dublin Swift fast ferry crossings between Ireland and Britain up to December 15th next – but customers need to be quick as the offer applies to new reservations made by January 13th. The 25% savings, which can be made during Easter, mid-term breaks and peak Summer holidays, also apply to pre-booked Club Class seats and cabins. For further information or to make a reservation visit www.irishferries.com or call 0818 300 400.